We bid you welcome to this house. It is a place we love and tend with care. sexual orientation or religious background. This statement is the core of Eliot Unitarian Chapel. Founded in 1959, it is a place of worship, friendship, acceptance, social awareness and community action. Today, Eliot stands as a pillar in our Kirkwood community, with over 550 members and 225 children and youth enrolled in our active Religious Education program. We have groups that organize activities for the women of the congregation, the men of the congregation, our single members and families. Our covenant groups build smaller, intimate networks of support and trust within the larger Eliot community. 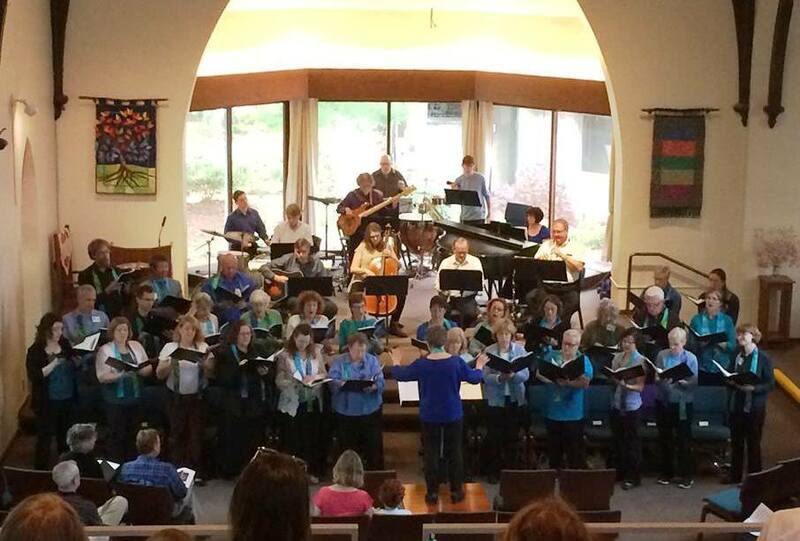 The music staff supports Eliot’s diverse music program, including multiple choirs for adults, teens and children, and special musical events. We host Room at the Inn three times a month and have a very active Social Justice team. We offer a meeting place for interfaith discussions, political roundtables and outside support groups, as well as a beautiful setting for weddings. For over 50 years, Eliot Chapel has been more than just a neighborhood church. Yes, we have Sunday worship services and our share of friendly potluck dinners. But Eliot has also been a sanctuary for seekers and a leader in social change. This is just a small glimpse into the Eliot Chapel community. We hope you will spend a few minutes on this site, exploring and learning more. If you have questions or you are interested in joining, please contact us. Unitarian Universalism: Nurture Your Spirit. Help Heal Our World. Unitarian Universalism is a theologically diverse religion, in which members support one another in the search for truth and meaning. As members of a non-creedal religious tradition, Unitarian Universalists are free to discern their beliefs about theological and ethical issues. Individual Unitarian Universalists may also identify as Atheist, Agnostic, Buddhist, Christian, Hindu, Humanist, Jewish, Muslim, Pagan, or with other philosophical or religious traditions. The Unitarian Universalist Association's (UUA's) seven principles express the shared values that UUA congregations affirm and promote. Unitarian Universalists (UUs) are committed not only to spiritual growth and transformation but also to involvement in the world. 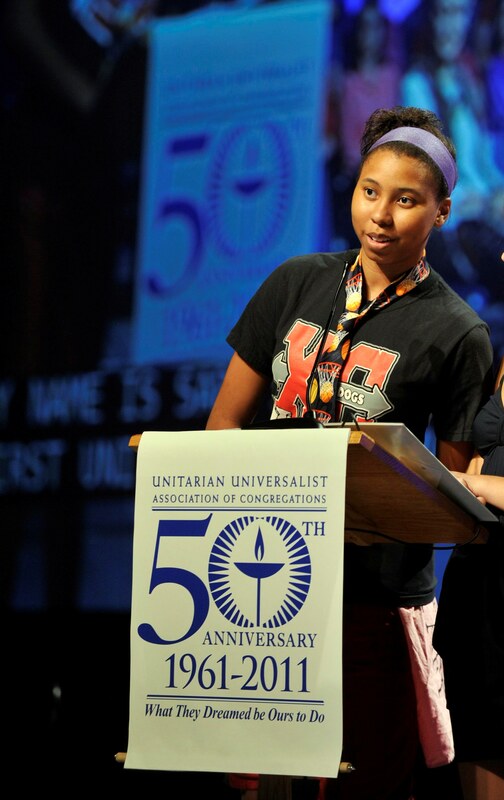 For more information about Unitarian-Universalism, please visit the UUA's website at uua.org. Eliot Unitarian Chapel is proud to be an official Welcoming Congregation of the Unitarian Universalist Association since 2006. We offer workshops, speakers, and social events to continue our ongoing mission of understanding, acceptance, and inclusion of those who are gay, lesbian, bisexual, and transgendered. Being a Welcoming Congregation is an ongoing process. We will continue to educate ourselves and grow in our understanding and support of each other. We also intentionally extend our welcome to those of varing abilities, age, race, and cultural backgrounds. The Welcoming Congregation is a UUA program designed to assist congregations in fostering welcoming behavior towards gay, lesbian, bisexual, and transgendered people (GLBT). The goal is to reduce prejudice by increasing awareness, understanding and acceptance of people of different sexual orientations. Welcoming Congregation - The official Welcoming Congregation webpage on the Unitarian Universalist Association (UUA) website. The Office of Bisexual, Gay, Lesbian and Transgender Concerns - Includes many valuable resources. The Welcoming Congregation Handbook - This book can be purchased from the UUA bookstore or borrowed from our Eliot Chapel library. Interweave - UU organization for support of lesbians, gay men, bisexual persons, transgender persons and heterosexual allies. Unitarianism came to St. Louis in 1834 when William Greenleaf Eliot, Jr. (for whom Eliot Chapel is named) was called as minister by a group of St. Louisans who wanted a liberal church. Mr. Eliot left his native New England and traveled to a city that at that time numbered 7,500 inhabitants. In 1853 he and other members of the church organized Washington University with Dr. Eliot as the first president. The first two Unitarian churches in St. Louis merged in 1937 to become the First Unitarian Church of St. Louis, located in the central west end of the city. In 1953, five west county couples from First Church started a twice monthly Sunday afternoon family forum at the Kirkwood YMCA. They were surprised when 35 enthusiastic people showed up for the first County Forum. The group was asked by First Church to start a county Sunday school to relieve the crowding in the First Church Sunday school. They decided to hold Sunday services as well, and Thaddeus B. Clark, minister at First Church, agreed to preach an early service, rushing back to First Church for their regular Sunday service. And this was before Interstates! The group was meeting in a dance studio in Webster Groves and, at this time, in 1955, they adopted the name Eliot Chapel and called Reverend John Fordon as their minister. In 1956, the Chapel moved to a house rented from the Kirkwood Board of Education. Reverend Fordon stayed only one year. In 1957, Reverend Martin Greenman was called and land for a church was purchased in northwest Kirkwood. In 1959, Eliot Chapel voted to become independent of First Church and in 1960, called Webster Kitchell as the first minister. They were again meeting at the Kirkwood YMCA, having come full circle from the original County Forum. 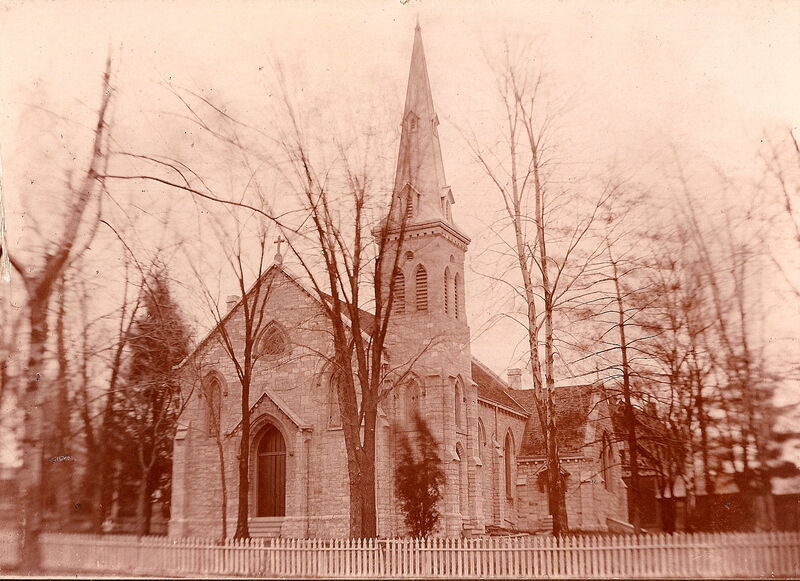 In 1961, Grace Episcopal Church sold its historic building to Eliot for $25,000, the value of the land. The Religious Education program was still being held at the YMCA down the street. The first priority for the new congregation was space for R.E. The first addition, which added eight classrooms, was completed in 1963. After moving into the R.E. wing, the Eliot Chapel Nursery School was organized by the Women's Alliance in 1963. After almost 40 years, the Eliot Chapel Nursery School continues as one of best preschool programs in the area. Through the turbulent '60s and into the '70s, many Eliot members were involved in the civil rights movement. As the nation became mired in the war in Viet Nam, members were a part of the debate. Before abortion was legalized, Eliot Chapel became home to the Clergy Crisis Pregnancy Counseling Service, which provided counseling and, when requested, referrals for out-of-state abortions. 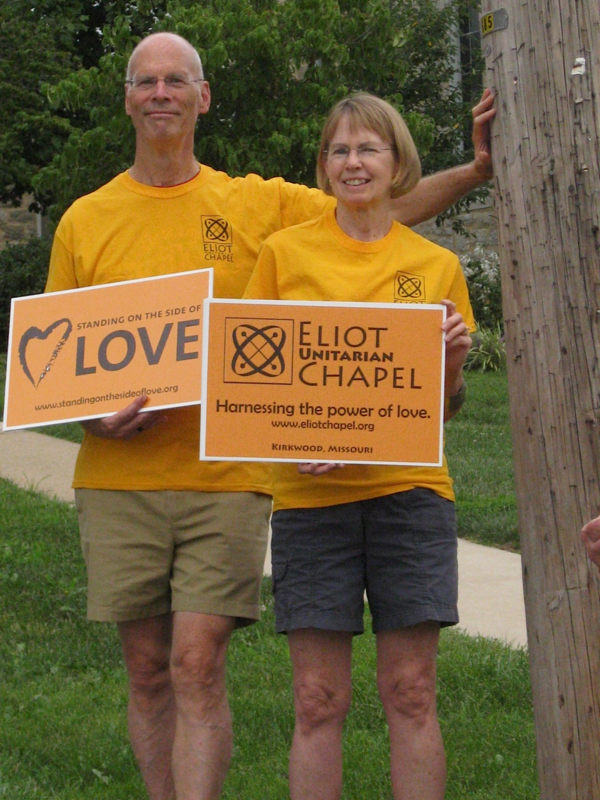 The first church-based singles' group in St. Louis began at Eliot Chapel, with over 400 members at its height. In 1964, Eliot received the generous gift of 600 acres of beautiful land in the rolling Ozark hills outside Hermann, Missouri. We began our tradition of a Memorial Day family camping weekend. We enjoyed it so much that we added another in October. And, of course, there's the Men's Advance (the Sensitive New Age Guys' annual pig roast at Bergfried). In 1967, we sold the Kirkwood property originally planned for a new church in order to purchase the lot to the east of the Chapel. 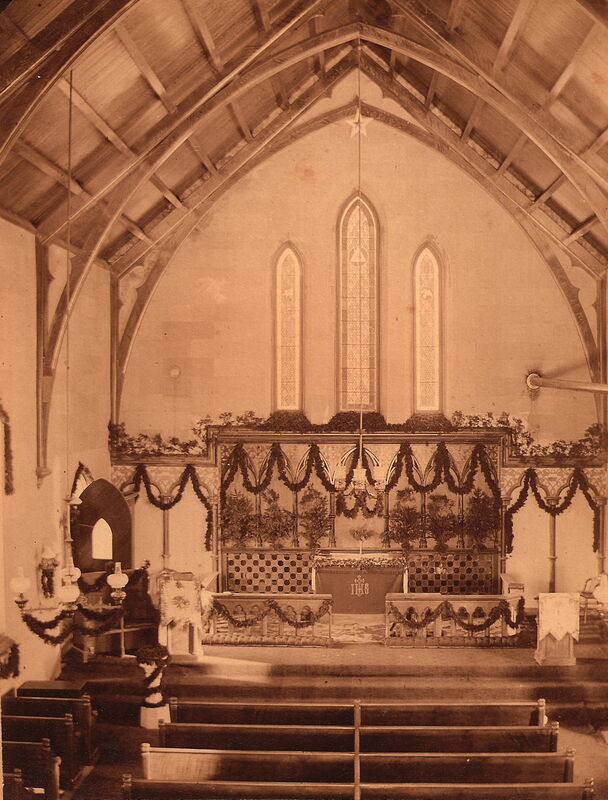 In 1972, a major renovation of the sanctuary was undertaken. 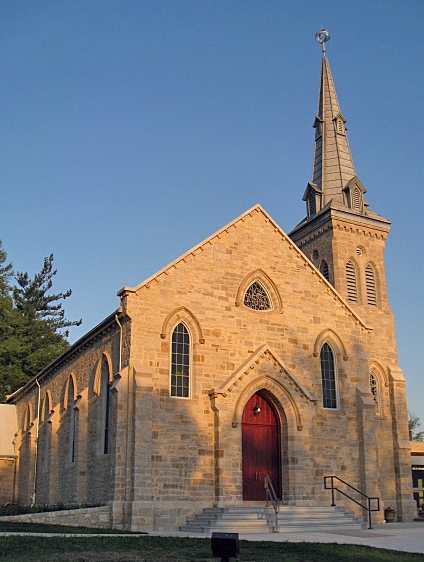 Space for services was borrowed from the Kirkwood Presbyterian Church. At the end of 1972, Webster Kitchell announced that he would move to a larger congregation in the southwest. In 1973, John Robinson was called. Eliot continued to grow and change. We established many traditions, such as the Thanksgiving Bread service and our annual Elizabethan rout, the Madrigal Dinner. In 1977, disaster struck. Fire gutted the religious education wing, the sanctuary was badly smoke damaged, and all the windows on the south side were cracked by the heat. Two days after the fire, the service was held on the steps of the church. To quote James Durbin in a presentation made at the Annual Congregational Dinner one month after the fire, "Eliot Chapel is not brick and mortar; it is people and what they do." The sanctuary was cleaned up for the next Sunday's service, which was Easter. While repairs were made, religious education, offices, and nursery school were moved to Pitman School two blocks away, a generous loan from a local bank. It was decided to move ahead, sooner than planned, with another addition. We added a fellowship hall, a small kitchen, more classrooms and offices. In 1978, Sandy Boler was hired as a part-time Religious Education Director. When she was ordained as a minister, we called her to be our Associate Minister. In 1988, Sandy left to go with her husband to Florida. In 1989, Reverend Janet Pillman was called to Eliot. In 1988, we built a picnic shelter at Bergfried. On Memorial Day, the service at Eliot, for those in town, includes a blessing of the animals. Members are invited to bring well-behaved pets to be blessed. Over the years, we added an annual Seder dinner and flower communion Sunday. 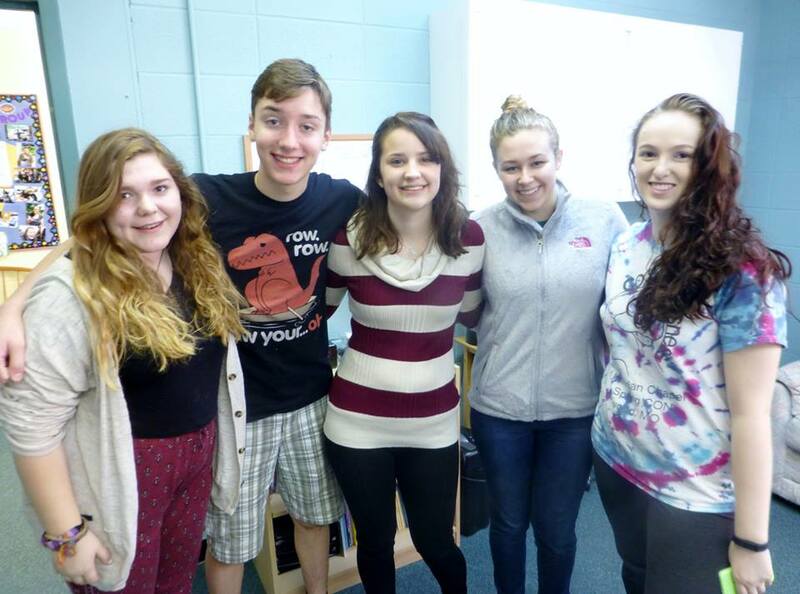 We began an intern minister program, adopted our sister church in Transylvania, started a scholarship fund, and helped establish a new Unitarian congregation– Emerson Unitarian Universalist Chapel, in Ellisville, MO. Our members prepared food at a women's shelter and for AIDS patients and participated in work parties to do home repairs for the needy in the area. Eliot Chapel hosted the St. Louis chapter of Parents and Friends of Lesbians and Gays (PFLAG). In 1992, we expanded again, adding more classrooms and enlarging our kitchen and fellowship hall. With our added space, we were able to participate in the St. Louis Room at the Inn program, providing dinner and shelter to homeless families every Thursday night. Our FUN committee added an annual chili and games night and a bi-annual mystery dinner, with a delicious catered dinner and a riotous mystery performance written and acted by Eliot members. We started our own Bluegrass group, regular eclectic coffeehouse evenings, and an occasional pick-up orchestra. In 1994, with our one service at capacity, we added a second service with its own choir and religious education classes. And still, we continue to grow in numbers and spirit. For over 50 years we have gathered to worship, to grieve, to celebrate, and to nurture the human spirit. In the fall of 1999, our lead minister John Robinson, who had been with us 27 years, announced his retirement, effective July 31, 2000. Our Associate Minister Janet Pillman assumed the role of Lead Minister for the first year of transition. 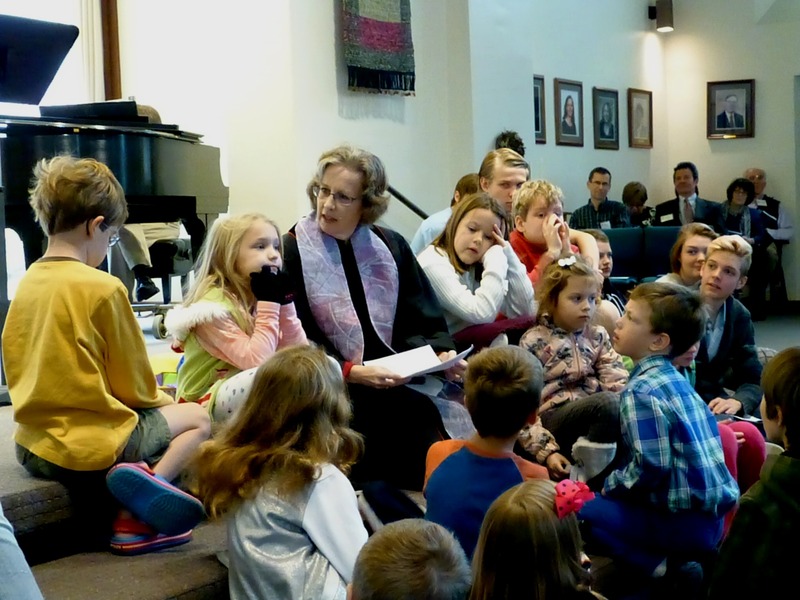 She left in August 2001, to serve as pastor of two Presbyterian churches located near her beloved second home on several wooded acres near Farmington, Missouri. Dr. Peter Raible served as Interim Lead Minister for the 2001-2002 church year, and Sonya Montana joined him as Interim Assistant Minister. A two-year search process culminated in the calling of the Reverend Dr. Daniel Ó Connell, as Lead Minister, and the Reverend Bonnie Vegiard, as Program Minister, in April 2002. 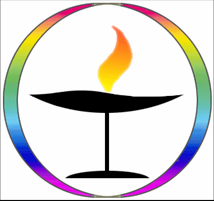 In 2003, Eliot became the first UUA certified Welcoming Congregation in the St. Louis area, moving us to inclusivity of bisexual, gay, lesbian, and transgender people. In March 2004, our Lead Minister conducted the first public (TV, radio, print coverage) gay wedding in the Midwest, and later filed the marriage at the county court house. Not everyone was happy about this, but it provoked lively debate on the freedom of the pulpit and the freedom of the pew. In 2010 Revs. O’Connell and Vegiard left Eliot. Rev. O’Connell accepted the call to be the senior minister at the First Unitarian Universalist Church in Houston, Texas. We entered into a period of interim ministry. 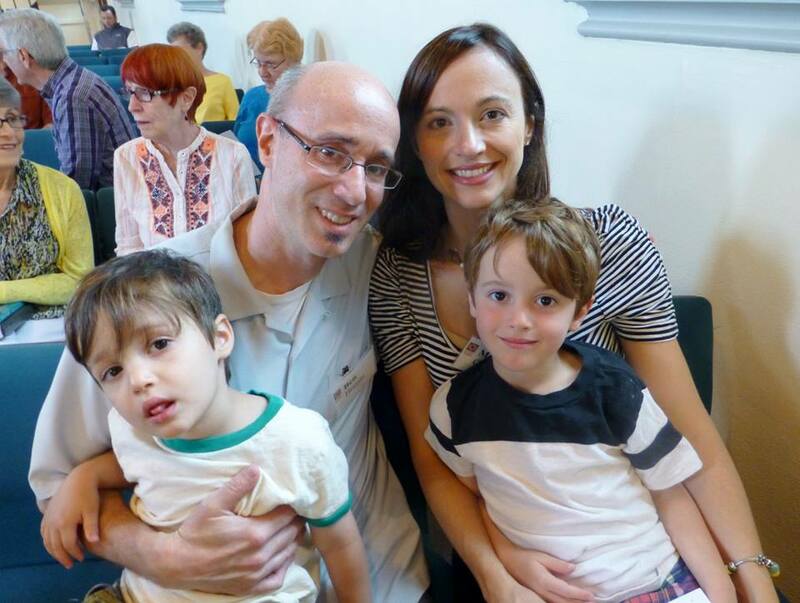 After three years of interim ministry, Eliot called Rev. Barbara H. Gadon as Lead Minister. Rev. Gadon accepted the call and began her role as Lead Minister in August 2013. Quaint, and with a quiet but elegant presence, Eliot Chapel's picturesque beauty blends perfectly with its community of Kirkwood, Missouri. Listed in the National Register of Historic Places, Eliot Chapel was built in 1859 (as Grace Episcopal Church) at a cost of $12,000. An excellent and stunning example of the English Gothic Revival style of architecture, it has authentic English Gothic design throughout the building. The original building was 29 feet by 70 feet, with a square tower and steeple reaching 83 feet. Stone transepts on the north and south were added in 1883 and 1888, each at the cost of $1,000. The building is significant as one of the few intact examples of architecture by Robert S. Mitchell (who also designed the Old Courthouse on the banks of the Mississippi River, and the original Mercantile Library), and a remembrance to the formative days of one of St. Louis' first "commuting" communities. Despite development of a religious education wing in 1962, a fire in 1977, rehabilitation of the sanctuary, roof, and stonework, as well as the erection of a new spire in 1986, the picturesque beauty and old world charm of the original structure remains.